Frank Yang On World Cafe : World Cafe The founder of the Canadian music blog Chromewaves highlights five new local acts for Sense of Place: Toronto. 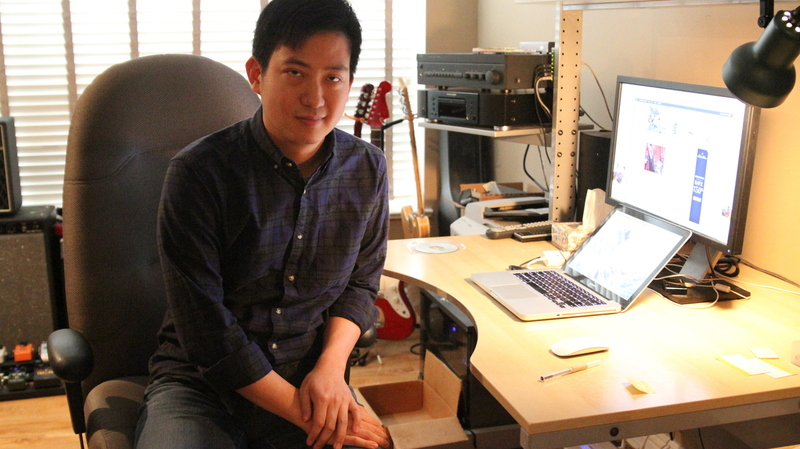 Frank Yang, founder of the Canadian music blog Chromewaves. To find out about terrific local bands for our Sense of Place stop in Toronto, we went straight to one of the city's best-known sources: Frank Yang, founder of the Canadian music and arts blog Chromewaves. Yang has won numerous awards for the site, including Best Music Website in Toronto by NOW Magazine in 2008. Yang has also been a member of the Polaris Music Prize jury since 2006. A close observer of the local music scene, Yang picked five bands to feature — and their diverse sounds may surprise you. On this episode, listeners will hear from ALVVAYS, Beliefs, Fresh Snow, PUP and The Elwins. Each of Yang's song selections is available for download at World Cafe's Tumblr blog.